The official flash file of Qmobile L9 SPD 6531 is feature phone form Qmobile having SPD sc6531e CPU that firmware file of Qmobile E400 Pro .bin flash file tested and working we read that files file with CM Tool and share with you flash read loa so download ok and tested flash file of Qmobile L9. If your Qmobile L9 SPD 6531 did not work properly or hanging on startup or if you forgat then you can write that flash file before write that file tack backup your phone original flash file first then write that file mostly read your phone original and find password and entering password make full reset your feature phone your phone will be ok if after resetting your phone did not wake will then you can write that file. We are working on Qmobile L9 SPD SC6533G and soon that file share with you. if you have Qmobile L9 SC6533G and want to flash or read codes from the phone then you have to use CM2 SCR Tool and Qmobile L9 SC6533G boot key is menu key hope that info will help you to format or read flash file of Qmobile L9 SC6533G. 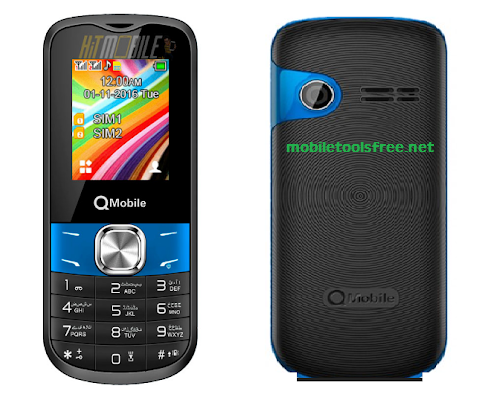 HOW TO FLASH Qmobile L9 with any flash tool? DOWNLOAD Qmobile L9 SPD 6531 Firmware AND UNZIP ON YOU PC. AND FLASH WITH VOLCANO OR MIRACLE, GPG DRAGON BOX OR CM2SPD TOOL OR WHICH FLASHING TOOL YOU HAVE SELECTING BOOT SC6531. If all the SPD drivers install on your PC then connect USB cable by holding boot key it can be call key or 0 key or if you don't know which key is the boot key then press and hold all keys 1 to 0 your phone will start boot. FLASH WITH THIS FILE YOU SET WILL BE OK. SOME TIME SOME MOBILES LCD MAKE PROBLEM THAT Sways IT IS GOOD FOR YOU IF YOU BACKUP YOUR SET FLASH FILE FIRST THEN FLASH. That firmware file is only for only for Qmobile L9 doesn't try to install that firmware on other models of QMobile other devices that can destroy your phone.